New trailer for the upcoming slasher movie. An American tradition that's increasingly grown in popularity on this side of the pond in recent years is the Halloween season horror themed amusement park, where patrons pay to be scared out of their wits. 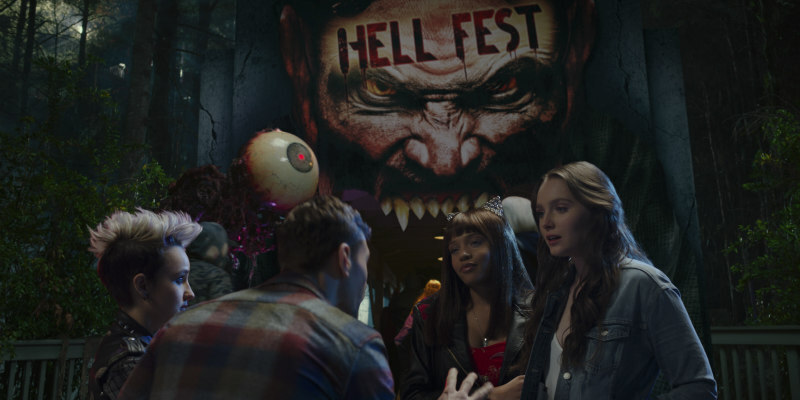 Director Gregory Plotkin's Hell Fest explores what might happen if the scares became all too real, with an actual masked killer stalking the park. Amy Forsyth, Reign Edwards and Bex Taylor-Klaus star. Hell Fest opens in the US in September, but we're still awaiting news of a UK release. Meanwhile you can check out the new red band trailer below.